Make your home even more special with a fun improvement project. Are you looking to spice up your family room? Do you need more room or do you just want to make it more comfortable and enjoyable for your family? 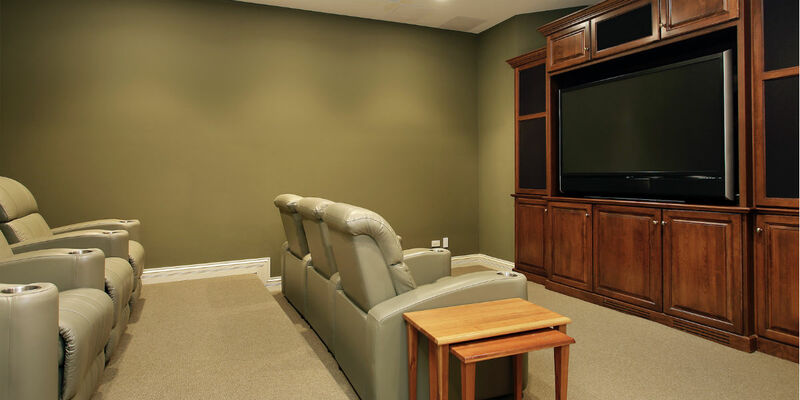 Thinking of adding some new features like a home theater, mudroom or setting up the guest suite for an aging parent. Each year brings new home improvement trends. In 2018, we see trends that will not only provide great-looking updates to your home but trends that will add value to your life. One trend that is quickly spreading is outdoor cooking. Cooking is a great way to spend time with family and friends, and it is even better when cooking outdoors. Pizza ovens are becoming a significant part of outdoor living. Easy-clean, smooth-top grills are also in demand. White is a lovely color but is also a boring color for some. For 2018, more color is in demand. 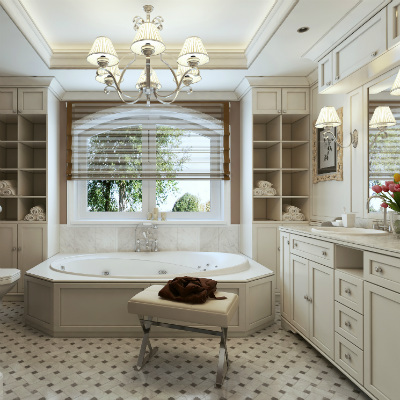 Faucets, tubs, bathroom vanities and more are now coming in a variety of colors that make any room gorgeous. Also, appliances-freestanding and built-in are now arriving in sleek black stainless finishes. The kitchen is becoming more technology-operated and is a feature that customers love! We now have Internet-connected refrigerators, as well as technology that can adjust home lighting, temperature and entertainment appliances. No one likes to spend all their time cleaning! To cut back on cleaning, many customers are gravitating to quartz countertops and installing touchless faucets. Other trending products are stainless-steel tubs that do not retain odors and dishwashers that also do not retain odors. Early signs of 2018 are revealing that statement floors will be this year’s popular trend. Examples of statement floors are bold colored geometric tiles and soft herringbone-style hardwoods. These styles make any room pop! 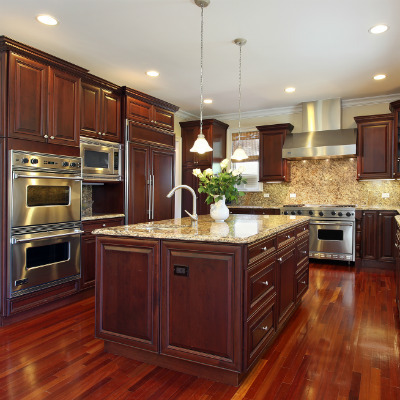 Another trend is light and medium wood cabinets. Flat fronts and clean lines add warmth and texture to kitchens and bathrooms. Light colors also make a room look bigger and brighter. Grey is still a popular trend in 2018 as well as a painted and glazed finish on cabinets. Many homeowners are now returning to dividing walls. Homeowners want their formal dining room away from the kitchen. This concept is more traditional but is a wonderful way to dine with family and friends, away from the work atmosphere of the kitchen. In residential remodeling, the old is new and new is old. Dining room additions are on the rise. Rustic wood elements in a home can add history and character to a home. Bringing over-sized posts and beams into a modern setting or leaving chunks of shiplap exposed can change the atmosphere and character of a home. Maybe you have a parent that is moving in with you, or maybe you plan to stay in your current home for a long time. either way, modifying a few things now will make it much more comfortable and safe. Contact us today to explore a variety of design choices that make aging in place easy. To conclude, each year brings new home improvement offerings and trends. Check out our 2018 home design trends in Jacksonville Fl and give us a call for a quote on updating your home, bath or kitchen. Visit us at https://myremodelright.com/ for more news and trends.